I’m in the pleasant position announcing you that you are able to drink and gamble from now on. Happy 21st Birthday! From now on you have to learn how the real parties are made of. I’m kidding! I know that you knew that a long time ago. Happy Birthday! Don’t count the years, count the wishes and all the…Cheers! Happy 21st Birthday! The 21st breakthrough is so much more than an age. It’s about great moments, lot of fun and impatience to all the wonderful things are about to come. Happy 21st Birthday! From now on you can legally do what are you doing every day! Your 21st Birthday comes along with great responsibility. You’re responsible for not getting too drunk. Wishing you a very joyful and remarkable 21st Birthday! A golden era for your life starts from now on. Happy 21st Birthday! 21st rules! From now on you can do whatever you want. Now you can include alcohol in your parties, if you haven’t done so already. The entire world is on your feet now. You can legally do whatever you want. If you haven’t started drinking alcohol yet, don’t start now, because it’s too late. Happy Birthday! Stop drinking like you won’t be able to do so again. You have a whole life to ruin it with alcohol. You have been waiting for 21 years to be able to drink some alcohol. Hmmm. I know you didn’t! Happy 21st Birthday, instead! Finally you are 21st. Finally you are in a legal drinking age. Happy Birthday! 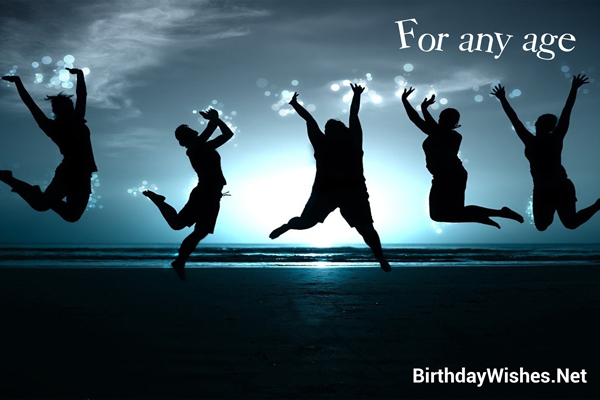 Check out this amazing collection of 21st birthday wishes, the 21st birthday wishes on this page incorporate the messages from these article, but feel free to add your own.